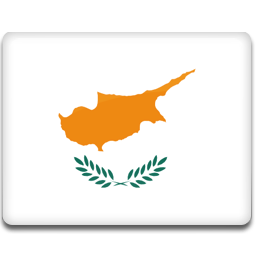 Television in Cyprus was begun in 1956. On 26 Apr, 1992, Private TV was started by LOGOS TV which began its operations in Teletext and Stereo from day one. Church of Cyprus owned and operated the very first private TV station in the country. On Aug, 1995, this station started the first ISP “LOGOSNET” in Cyprus. The country uses the PAL colour system currently and has transferred terrestrial transmissions to digital on 1st of July, 2011, according to the EU policy. Euronews is free to air news television channel available in multiple languages and headquartered in Lyon Ecully, France. It was established in 1993 and focuses on world news from a pan-European perspective. Euronews operates in English, German, Spanish, French, Italian, Portuguese, Russian, Persian, Turkish, Arabic, Greek, Hungarian, Ukrainian and Polish. The live online TV has also started in the country. The channel broadcasts headlines from both Europe and worldwide in thirty minute intervals. Brief magazine segments aims at market data, sports news, financial news, art and culture, weather, science, politics and press reviews of the major news papers in Europe. These item slots features breaking news or some live television coverage sometimes. There are a few segments that are shown without commentary under the banner No Comment, being the signature program of the channel since its launch. Mega Channel (also known as Mega TV) is the first private television channel to begin its operations in Cyprus. It has been dedicated to Cyprus and Greek programming, kids programs, church oriented programs and foreign programs from a long time. The most notable programs on Mega TV includes Avlajhia, To Sirial, Ta Psarka and the successful series of Gymnoi Aggeloi (Naked Angels) in 2010 as well as Oneiro Itan (It was a dream) in 2013. The channel also features series and shows from Mega Channel Greece. Mega TV is also showing a news portal known as “LiveNews” with news from Greece and Cyprus, live streaming, TV guide and VOD service since Oct 1, 2012.